John and his wife Renate are the proud owners of 2Perfect self-catering penthouse apartments in a holiday town in South Africa. With only two apartments on offer, John and Renate interact with each and every guest, ensuring they have the best possible stay. For John, using a product like GuestRevu is essential to running a successful business in the hospitality sector, even at his small size. John admits that in his view, "People will rarely write something negative in your guest book when a staff member or owner is close by. You don't ever know all you need to know from your guests because your guests... are reluctant to tell you what they are really thinking." Wanting to get feedback that can help them to improve their offerings, but only hearing compliments left John concerned that guests might be airing their discontent to others rather than to management. “If there's something that really bothers your guests, you'll get the odd [guest] that tells you, but for the rest... they just don't tell you. It just goes back with them and they'll say it to somebody else." 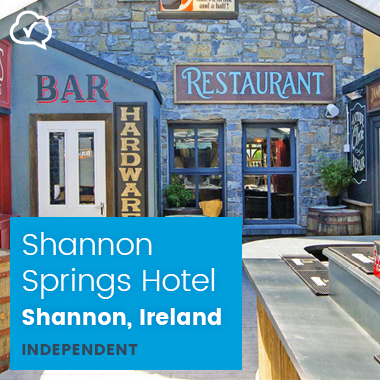 By offering guests an option to provide feedback after their stay, John no longer needs to be concerned about his guests feeling uncomfortable when giving feedback in front of staff or management. Guests can now complete the questionnaires in their own time, and it has resulted in John getting more meaningful feedback from them. With the in-depth feedback that they are receiving from guests, John and Renate are able to pinpoint where problems may lie, and quickly resolve them, maintaining the high level of customer service that they aim to provide. We've had fantastic service from GuestRevu. It's a great product — we get huge value from it and really believe in the concept. It keeps you on your toes... it gives you the opportunity to see what was wrong or missing, and it assists you in keeping your own levels of service high. 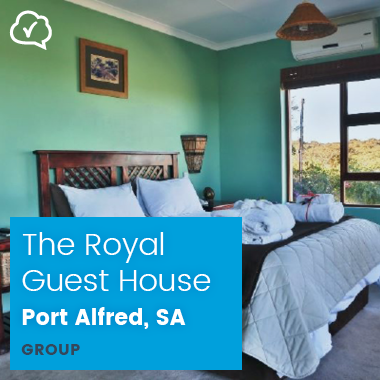 As part of the River Hotels group, The Royal Guest House has seen guest relationships improving with the implementation of GuestRevu's email surveys and customised reporting.